Location: Inishowen, County Donegal, Northern Ireland. 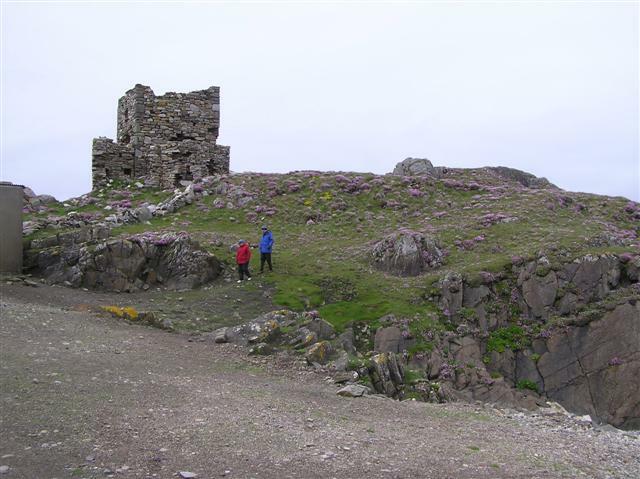 Notes: Carrickabraghy (Irish: Carraig Brachai) Castle stands on a rocky outcrop at the north-western extremity of The Isle of Doagh, at the head of Pollan Bay, in the parish of Clonmany, in the Barony (Ireland) of Inishowen, County Donegal, Republic of Ireland. Known locally as 'The Castles', it is a place of captivating beauty, steeped in history with tales of bravery and battles, and of foreign invasion and revolt. The site is of significant importance to both local and national Irish history.